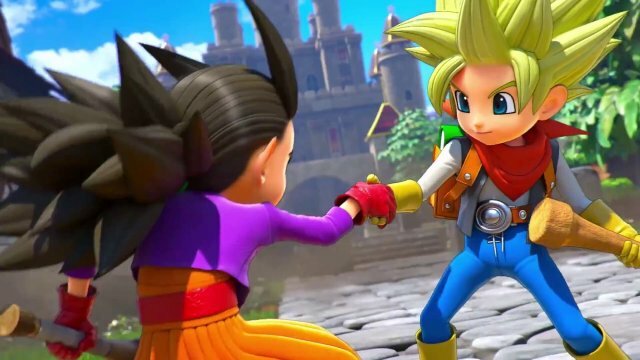 Dragon Quest Builders 2 will launch for PlayStation 4 and Switch on December 20 in Japan for 7,800 yen, Square Enix announced. Koei Tecmo is handling the game’s development. A 9,700 yen digital-only bundle including the game, two post-launch downloadable content packs, and an early unlock of the “Yuubon Sunglasses” to change your appearance will also be available. First-print copies of the physical edition, as well as digital edition purchases before January 20, 2019, will include the “Slime Tower” recipe. Early PlayStation Store and Nintendo eShop purchases will include the “Heroes Pixel Decoration” recipe set. Dragon Quest Builders 2 will be playable for the first time at Tokyo Game Show 2018 from September 20 to 23. A stage event featuring the latest information will also be held on the Square Enix main stage on September 22 at 14:00 JST.